If you are not present online, the question is- Do you even exist? A businessperson who does not own a website or run a blog is perhaps losing his business to somebody else in his niche. So many people out there want to get themselves on search engine results, and want to establish customer relationships through blogging. Entrepreneurs have realized that websites with static pages no more do the trick. You like writing (obviously, every blogger does), have some free time, want to earn a little extra cash (who does not), shake your pen and storm your brain, find yourself a job as a blogger. A Powerful search engine to narrow down your search. 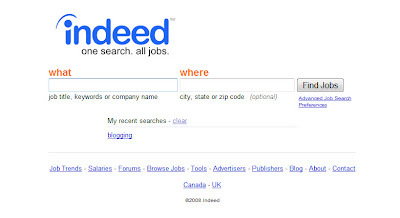 For finding a blogging job try clicking on this link, or go to Indeed.com and search blogger or related keywords. You are sure to find good numbers of well paying jobs. 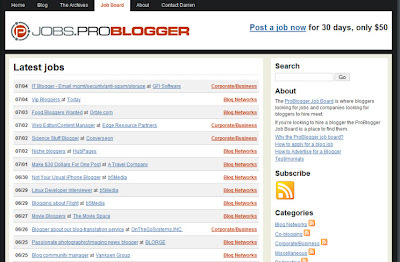 Our all time favourite Problogger has a job board specially dedicated to blogging jobs. When you talk about Darren Rowse, all that comes to your mind is "making money through blogging". he is one guy who knows how to earn moolah. A cool place to find some cool jobs. 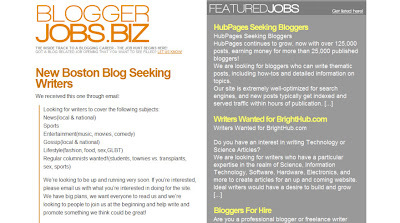 A site typically dedicated to help bloggers succeed, making blogging their career. You can subscribe their feed to stay updated about all upcoming jobs. You will find a few jobs here, which you will find nowhere else. Highly recommended. blogging. 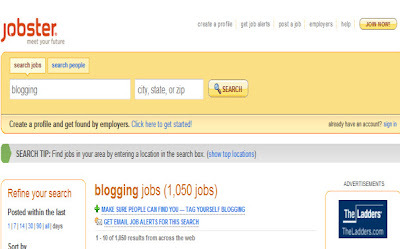 You will have to search for keywords related to blogging to find jobs that suit your purpose.